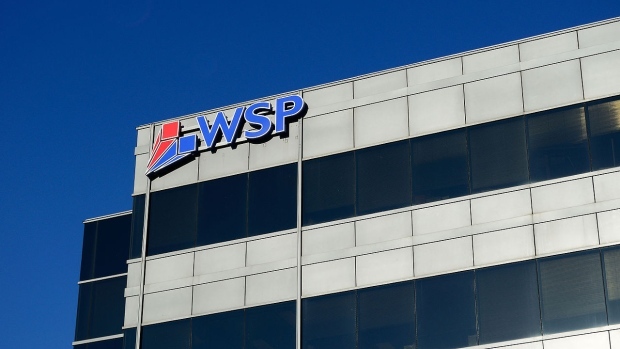 MONTREAL - WSP Global Inc. (WSP.TO) says its fourth-quarter profit attributable to shareholders was $43.3 million, up from $30.3 million a year ago. The engineering and consulting firm says net earnings amounted to 41 cents per diluted share for the quarter ended Dec. 31 compared 29 cents per diluted share a year ago. Revenue totalled $2.04 billion, up from $1.95 billion in the last three months of 2017. On an adjusted basis, WSP Global earned $59.1 million or 57 cents per share for its most recent quarter, up 50 per cent compared with a year ago. On Wednesday, the Competition Bureau announced WSP Global has been ordered to pay $4 million for bid-rigging on municipal infrastructure contracts in Quebec. The payment is part of a settlement filed with the Superior Court of Quebec for the company's role in a bid-rigging scheme between 2002 and 2011, when the firm was known as Genivar Inc.